AS Federal Government of Nigerian concludes plans to divert both the local and international flight from Nnamdi Azikiwe International Airport Abuja to Kaduna International Airport, the locals of immediate host community in Kaduna have decried several years of neglect by government at all levels. The people of Gwazaye, Igabi local government of Kaduna State which host the Airport also expressed worry over security situation in the area saying, they are aware of herdsmen going about with guns but were helpless to ask questions for the sake of their lives and their children, hence consider the flight diversion as rare opportunity for them to let the world know about their suffering despite paying host to the airport of international repute. 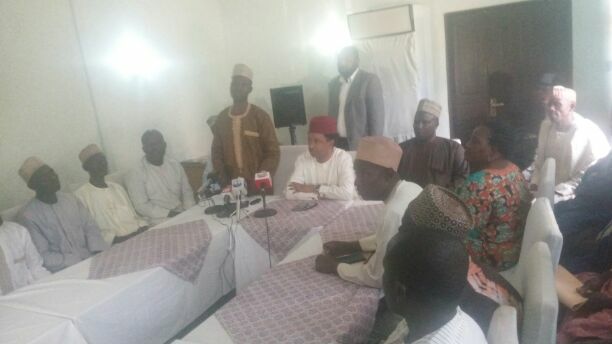 Formerly presenting their plights before Senator representing Kaduna Senatorial Zone in the Senate, Shehu Sani, the community Spokesman, Mallam Tukur Idi alleged that, since the government took over their land years ago, they have not really felt government impact as they suffer basic amenities like road, school, electricity, hospital and security of lives and property. According to him, ”there is no better time for us to appeal to relevant authorities in aviation industry to come to our aid than now. When our land was taken over years back, they promised to adequately compensate our fathers which they have not done. For instance, they promised us underground road so we don’t pass through the airport but that has remain a mirage. We have to trek kilometres round about the airport. “You can imagine, we don’t have a single secondary school in the area. Our children have to trek kilometres everyday from house to town. We have lost some of them in the process to kidnappers and accident. We don’t equally have hospital. This has also exposed our women and children to maternal mortality. We don’t have water. We don’t have transformer to enjoy electricity. “The airport operators don’t employ our children. They prefer bringing their workers from Lagos while they employ our children as cleaners and drivers. No son or daughter of the host community is in level 8 or ten as worker in the airport. Our youths are jobless. We want our senator to assist us and that is why we have come to express our worries. “As regarding the security, that we cannot guarantee. We do see rustlers passing in from of our houses with stolen animals but we cannot challenge them because they are always with guns. The only help we receive once a while is when the Air Force Officers come around”, Tukur added. Responding, Sen Sani, who said he still strongly believed that, Kaduna airport remains the best alternative for the flight diversion, expressed worry that the host community which he has personally visited has been neglected for decades despite having presence of business conglomerate landing and taking off from the airport. He however promised to table their matter before appropriate aviation authority and follow it to a meaningful conclusion, quickly added that, the best time to get attention is now. He said, “I have visited and seen things for myself. The situation of this host community is a reflection of state of host communities across airports in our country. Nigerian politicians keep enjoying, employ their wives and children anytime there is vacancy in federal government but keep deceiving Nigerians to be self-reliant. I have heard your complaints and I have also seen your plights. I will table all of them before the aviation authorities within the week”.